MLADA BOLESLAV, CZECH REPUBLIC - MAY 30: Doors Open Day at Skoda Auto a.s. factory. Skoda auto celebrated 120 years since its founding by Laurin & Klement on May 30, 2015 in Mlada Boleslav. hd00:06Modern carpentry workshop with machines and tools, manufacturing concept. Footage. Equipment installed indoors at the carpentry shop. hd00:38CIRCA 2010s - The core reactor of a nuclear power plant is put into place and fuel rod cells are added. 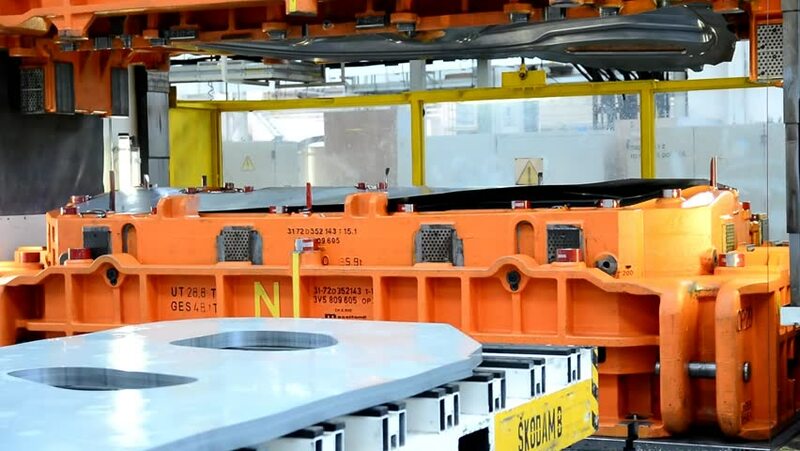 4k00:12The production of the geogrid in the transporter machine at the factory. A worker puts a product into the machine. Close up.